The twentieth century was a time of testing of faith for the Serbian Church, as it was for the Russian Church. The lives of monastic saints and martyrs glorifiedby the Serbian Church in 2010 are evidence of this. PRAVMIR. July 9, 2012. 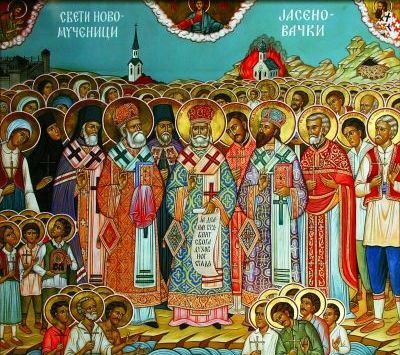 By decision of the Holy Synod, saints recently glorified by the Serbian Orthodox Church will be included in the menalogion of the Russian Orthodox Church. The twentieth century was a time of testing of faith for the Serbian Church, as it was for the Russian Church. The lives of monastic saints and martyrs glorifiedby the Serbian Church in 2010 are evidence of this, reports Tserkovnyi Vestnik [Church Herald]. These saints are Venerable Justin of Ćelije (June1/14), one of the greatest Serbian theologians of the twentieth century; Venerable Symeon of Dajbabe (March 19/April 1); and the New Martyrs of Jasenovac (August 31/September 13), who suffered under the Ustaše – Croatian Nationalist Movement headed by Ante Pavelic.